Bollywood star daughters who are not an Actress! There are many ways to prove that graduation is not important to become successful. In the world of glamour and glitz, education is not a major priority. There are many celebrities who have achieved fame and popularity with their acting skills and beauty, but not education. From a very tender age, glamour and glitz impressed her more than anything else. One of the highest paid actresses of the decade, Kareena made her film debut at the age of 20. 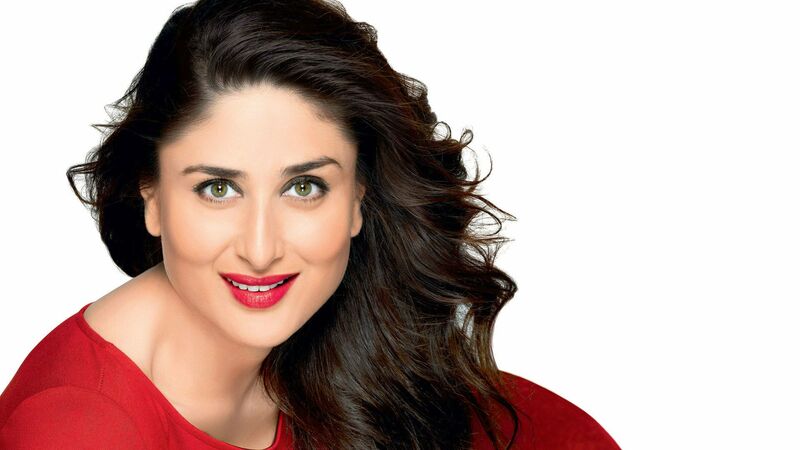 After studying commerce for two years at Mithibai College, Kareena developed an interest towards law. She enrolled for the course at the Government Law College, but left it after the first year, to join Bollywood. She was educated at Bangalore's Sophia High School, and completed her pre-university education at Mount Carmel College.She subsequently enrolled at the Indira Gandhi National Open University for a Bachelor of Arts degree in sociology, but later dropped out due to scheduling conflicts with her modelling career. One of the most sought after actresses of the decade, Priyanka never finished her graduation either. The beauty queen has done her schooling from a number of places like USA and India. She wanted to be a criminal psychologist and joined Jai Hind college in Mumbai. One of the brilliant actresses who scored 90 per cent in her HSC exams wanted to become an architect. Ash enrolled in Raheja College of Arts but dropped out for focusing in her growing modeling career. The newest entrant in Bollywood, Tiger never even enrolled himself into a college. 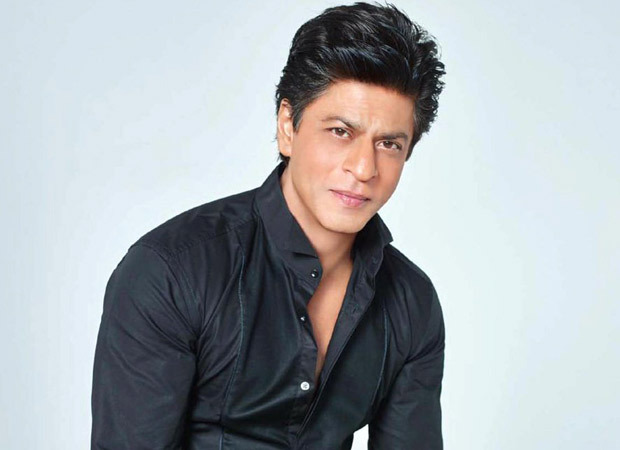 Just after his Class XII boards, he quit studies to concentrate on a career in Bollywood. With a great body and honed dancing skills, let’s see if he has what it takes to be a superstar. One of the first to break the Kapoor stereotype, Karisma not only entered showbiz but also made it big there. Her passion and scintillating looks made her one of the most prominent stars of the 90s. However, very few of us are aware of the price she paid for this. Karisma allegedly dropped out of school soon after she entered sixth standard to pursue acting. Her first film was Prem Qaidi when she was just sixteen. He is one of the hottest bachelors around, but he never graduated. He completed his schooling from The Scindia School, Gwalior and St. Stanislaus High School Mumbai and then decided to take the plunge into Bollywood. We are sure he doesn't regret that decision. Alia is one actress making waves with her great performances in all her recent movies. After completing her schooling from Jamnabai Narsee School, she decided to pursue acting and started to learn both acting and filmmaking on the sets of movies instead of enrolling herself in college. It is true that Aamir Khan is one of the under-graduate celebrities in Bollywood. After passing 12th grade from Narsee Monjee College in Mumbai, Aamir left his studies and wanted to become an actor. Their are many bollywood celebrities who got famous in the bollywood industry and their children also follow their footprints and got succeed in the industry but there are some star’s daughters who does not become actress. They have chosen their own field of interest. Shaheen Bhatt is an elder daughter of Mahesh Bhatt and Soni Razdan and sister of Alia Bhat . She is very much attracted towards Poetry and writing. Shaheen has dabbled in all aspects of filmmaking. She has wrote few scenes for Zeher and Jism2. She was an assistant director for Raaz 3. She has also co-written Son of Sardaar. Shaheen has undergone an editing and filmmaking course in London. Suzzane Khan is a daughter of bollywood actor Sanjay Khan. Basically she is an interior designer. he got married to Hrithik Roshan but the couple got seperated. Riddhima Kapoor is a daughter of Bollywood star couple Rishi Kapoor and Neetu Kapoor. She is the sister of bollywood actor Ranbir kapoor. Riddhima is a successful interior and fashion designer. Being the child of film actors, Riddhima Kapoor is away from the film industry. She has choosen a different career. She launch her independent Jewellery line. She got married to her classmate and businessman Bharat Sahni on 25 January 2006. Rhea Kapoor is a younger daughter of Anil Kapoor and sister of actress Sonam Kapoor. Rhea Kapoor is not actress but still she is a an Indian Bollywood film producer and fashion designer. She produced Aisha which starred Sonam Kapoor and Abhay Deol. Ahana Deol is a younger daughter of famous bollywood couple Dharmendra and Hema Malini. Ahana Deol is an Odissi dancer. Ahana had assisted Sanjay Leela Bhansali for his movie Guzaarish which is of Hrithik Roshan and Aishwarya Rai Bachchan. She married Delhi-based businessman Vaibhav Vohra on February 2, 2014. Shweta Bachchan is the daughter of bollywood megastar Amitabh Bachchan. She keeps away herself from Glamour world. She was born in Mumbai and was a journalist with CNN IBN – Indian News Channel. Shweta Bachchan is married to Nikhil Nanda and the couple is blessed with two children Navya Naveli Nanda and Agstya Nanda. Saba Ali Khan is an elder daughter of Sharmila Tagore and sister of actress Soha Ali Khan. Saba Ali Khan is stay away from film industry. She is a famous jewellery designer. She has chosen her own career. Laila Khan is a daughter of Feroz Khan and sister of Fardeen Khan. Being the child of film actors, Laila Khan is away from the film industry. She is a painting artist. Her first exhibition was held in Delhi. Laila’s paintings have been praised in many places of abroad. She got married to Rohit Rajpal in 1998 but after some years, the couple got seperated. After seperating from Rohit, Laila married to Farhan Furniturewala in 2010. We as a whole are insane for a specific VIP and can go to any degree to demonstrate our affection for him/her. Subsequent to viewing a motion picture, we welcome the star for his execution, yet do we understand the diligent work behind it? Big names have their own specific manner of working and put in loads of endeavors in order to get those applauds and shrieks. Be that as it may, these stars are extremely specific about their agreements. They sign it painstakingly and incorporate certain provisos in it to guarantee there's no inconvenience while shooting. Clearly, on the off chance that they are working so hard, would it say it isn't defended to advance a few requests? Despite the fact that he is a major star, he has an exceptionally peculiar statement. Salman Khan says a strict no to "Closeness" in movies. He's against lip-bolting as well. He says that his mother observes every one of his movies and in the event that she goes over such scenes, it would be exceptionally awkward. A long time back, SRK experienced an extreme back torment because of steed riding; from that point forward, he said a no to ride a steed. Priyanka has picked up a great deal of notoriety in Hollywood as well. She has incorporated a "No-bareness" provision in her film contracts. The on-screen character has done likewise for "Quantico", the acclaimed American arrangement and "Baywatch", her new film. Amid Mohenjo Daro , Hrithik had included an exceptional proviso in the agreement. The on-screen character said that on the off chance that he needs to work more (Due to undesirable deferrals) than the genuine calendar, he will charge more. Sunny Leone is well known for her hot scenes, however you will be astonished to realize that she has incorporated a "No kissing" provision. She is totally fine with insinuate scenes, however kissing is something she doesn't care for. In every one of the agreements, Akshay has said that he won't chip away at Sundays. May be he jumps at the chance to appreciate some family time. In any case, he broke this condition amid the motion pictures "Siblings" and "Quite a long time ago in Mumbai 2". After marriage, Kareena changed her statements. She is entirely against room scenes and kissing scenes now. Ajay Devgn – Rohit Shetty, Ranbir Kapoor – Ayan Mukerji, Salman Khan – Sooraj Barjatya's Friendships is understood to all, however today we present some Bollywood companions, whose dosti is not known to all. They kept their friendship far from the spotlight and beyond the work. Let's have a look. Danny and Jaya Bachchan, were friends since they cohort at the FTII (Film and Television Institute of India). The name Danny has additionally been given by Jaya. Danny's unique name is Tshering Phintso Denzongpa, however because of his moderately troublesome name to spell his cohorts giggled at him. It was Jaya Bhaduri Bachchan, his then colleague, who might go to his protection and recommended him to keep it straightforward and named Danny. They never get their kinship spotlight. Danny says that whatever he is today, as a result of proposals from companions as Jaya. This performer choreographer holding has gone on for over 10 years. Rani and Vaibhavi are close to the point that when the previous wedded producer Aditya Chopra, it is additionally said that Vaibhavi go to Aditya's home as a major aspect of the settlement blessing. Both companions regularly seen together in Bollywood gatherings and religious occasions like Durga Puja. Abhishek Bachchan and Goldie Behl are youth companions. Their kinship goes back to 1982, when they met on the arrangements of "Pukaar" with their fathers (Goldie Behl's dad Ramesh Behl was the maker and Amitabh Bachchan was performer). Abhishek has worked in Behl's "Bas Itna Sa Khwab Hai "and "Drona". Abhishek said "I couldn't care less whether the movies with Goldie work or not. Our fellowship is not work-based." The two, frequently meet each night over beverages and tattle sessions, until a couple of years back. Regardless of their family commitments Rakesh Jeetu still meet. Rakesh said that "We're been companions for more than 30 years. Our kinship has nothing to do with work." However, Rakesh and Jitender's star Kids (Jeetendra's Tusshar and Ekta, Rakesh's Hrithik and Sunaina) never discuss the companionship of their fathers. Their kinship is likewise long standing. Anupam Kher and Anil Kapoor's 25-year-old additionally experienced h a dull stage when Anil did his own rendition of Mahatma Gandhi's story knowing exceptionally well that Anupam was doing it. Be that as it may, the sum total of what rancor has been washed away and Anil and Anupam again turn out to be great companions. Anupam said that "I can drop in at Anil's for breakfast or supper unannounced if my significant other is not around. We don't should be formal with each other. We are most certainly not." Anil Kapoor's girl performing artist Sonam Kapoor even said that "Anupam uncle my father's 'second spouse'". They claim a creation organization together and have been companions following over 10 years. Companions to start with, business accomplices later. Farhan and Ritesh proceed to work and security together, in spite of the fact that they lead separate lives. "We don't need to meet each day. We are not wedded to each other. We have separate lives. In any case, we've been companions sufficiently long to not give personal stakes a chance to ruin it," says Farhan. The performing artist Shammi is presently 86, not able to hear or walk appropriately. Be that as it may, closest companion Asha Parekh pays special mind to her. Says Asha, "Shammi Aunty—I call her that since she's much more established to me — is no more ready to move out of her home. It is hard to have a discussion with her. Be that as it may, she has been my companion for a long time. We don't need to converse with each other to impart. She knows I am there for her." Indian celebrity have dependably been known for making great utilization of their fame by including in supports, land ventures, putting resources into organizations and above all putting their cash and notoriety into social home base zones like pubs, clubs and restaurants. Bollywood on-screen character Arjun Rampal propelled lavish "Discotheques" in 2009 at a five-star inn in a rich zone of New Delhi. The disco is named as LAP, which is a premium parlor bar-eatery and is an individuals just club in Delhi. The tastefully outlined insides and totally astounding feel make it a standout amongst the most astonishing spots to hang out for each era. Being a piece of Hotel Samrat in Chanakyapuri, LAP is among the must-visit joints for disco mates in Delhi and somewhere else. Dino Morea is an effective business visionary other than being a performing artist. Dino, who runs a chain of bistros crosswise over India. Dino Morea has begun a chain of eateries named Crepe Station Cafe, which is spread crosswise over North, West and Eastern parts of India. The bistro serves lip-smacking European luxuries. . They have mouth-watering waffles, flapjacks and Eggs Benedict. Dino possesses the bistro with his sibling Nicolo Morea. Bobby Deol transformed business visionary when he hopped into the eatery business and opened his first wander named Someplace Else. His eatery/bar Someplace Else is arranged in the heart of Mumbai, Andheri and has a flawless mix of Indo-Chinese nourishment. He additionally claims somewhere else named Suhana for Indian treats and Zion for Chinese nourishment. We should say behind Bobby's chocolate kid looks, there's the mind of a shrewd businessperson. Aside from wandering into film generation, Suneil Shetty likewise claims a chain of eateries the nation over. The on-screen character set up his eatery business 10 years prior and his club H2O is broadly perceived and adulated by superstars and normal man alike. Their Long Island Iced Teas are amazingly prominent. He is the proprietor of the Mischief brand and proceeding on the same topic, Suneil likewise possesses Astro Mischief amusement parlors, numerous eateries and the Little Italy eatery in Mumbai. Some time ago in Mumbai, Salman Khan alongside kindred performers Sanjay Dutt, Karisma Kapoor and Govinda propelled an eatery called India Talkies. The subject of the eatery was acquired from Planet Hollywood, one of Hollywood's most famous big name possessed eateries. The previous Miss Universe stole numerous hearts with her excellence says that she is particularly enamored with customary Bengali nourishment. This adoration for quality Bengali sustenance has driven her to dispatch her own particular eatery, Bangali Mashi's Kitchen in Navi Mumbai. The on-screen character has made it feasible for Bengali cooking seekers to taste genuine Bengali flavors at awesome costs in the city of Mumbai. The wonderful woman is not just the proprietor of an IPL group, the performer has as of late dispatched a uber exemplary club in Mumbai named Royalty. In 2009 Shilpa Shetty and playmate Raj Kundra purchased a 33 for every penny stake in the V8 Gourmet Group, an organization that possessed numerous Indian eateries in the UK. The particular humorist of Bollywood laid hands in the nourishment business with Mumbai's first all singles bar. Stout Pandey claims an extremely renowned eatery called The Elbo Room in Mumbai. It offers Live BBQ with a colorful decision of dishes arranged directly before you. Yet, the genuine quintessence of this spot is in its Okonomiyaki, a Japanese hotcake that has chicken, fish and veggies. Ruler inns is a well known chain of inns present in South India at Masinagudi, Ooty and Mysore possessed by Bollywood's unique Disco Dancer, Mithunda Chakraborty. Mithun has kept up a high arrangement of benchmarks for his inns and the inviting surveys from his visitors are a demonstration of his expertise and accomplishment as a hotelier. With a name like 'Dharam Garam-Dhaba Te Theka', this one of a kind eatery claimed by veteran hotshot Dharmendra,has everything from the stylistic layout, to the cutleries and even the dividers confined motion picture publications, offering tribute to the unbelievable actor.With a natural appeal of town hovels, notices of his notable films and significant discoursed, an eatery motivated by Dharmendra transports you to the period of the on-screen character's superstardom. An Indian performing artist, host, VJ and previous lovely lady, Sarah Jane Dias, co-claims the Butterfly Bakery which gives a scope of heavenly cupcakes in the city. With players brimming with wonderful flavors joined by sparkled icing, Butterfly serves some really intense to-oppose cupcakes. The performing artist showed up in the Hindi film 'Kyaa Super Kool Hai Hum', 'Glad New Year', "Zubaan" and so on. Perizaad has opened the entryway of "Gondola" that organizes quality most importantly. Gondola is a multi-food eatery and serves Indian and Chinese, amongst others. It's surely understood for its sizzlers and reviving mixed drinks. Likewise, the fish has gotten rave audits. Deepika Padukone and Huma Qureshi, both are 30 years old. Amrita Rao and Amrita Arora, both are 34 years old. Nargis Fakhri and Bipasha Basu, both are 36 years old. Kajol and Nagma, both are 41 years old. Pooja Bhatt and Karishma Kapoor, both are 41 years old. Deepti Bhatnagar and Madhuri Dixit,both are 48 years old. These 5 Bollywood actors are not even 10th pass! We are fans of our Bollywood actors and copy them in many ways. But there’s one field, in which you shouldn’t follow them, EDUCATION! It's not that they never wished to study but the fact is that their luck favoured them at a very early age. Though, all of them had distinct ambitions to become something else yet the destiny took them on some other way. Today, though not much educated, but still whatever they are is an outcome of their strong passion. Some of them have faced many hardships. Their families were against their aspiration of becoming an actor. They had very little even for basic survival. Society also stood against them but they kept on fighting and turned their dreams into reality. Here some of the Bollywood celebrities who are not even 10th pass.